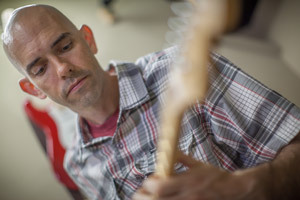 The Hughes Music Company’s focus is to provide the best private guitar lessons in Waxhaw NC. Here at the Hughes Music CompanyI strive to serve the Waxhaw community with only the highest quality guitar lessons at an affordable rate. I am a certified instructor with a Bachelor’s in Music Education. With over 13 years of experience, I teach beginner to advanced students and I even work with professionals. Home school guitar lessons are available to the home school community with time slots that will fit their schedule. 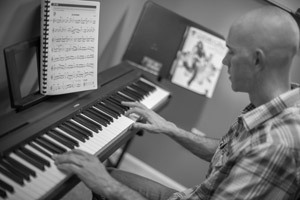 Sight reading, ear training, and music theory are part of the curricula that is tailored to your student’s individual needs. Blues, rock, jazz, funk, country, reggae, contemporary Christian, and singer-songwriter, I can accommodate any genre and teach all ages from children to adults. I also offer in home guitar lessons using the video conferencing software Skype. This is an exciting new way to use free software for interactive online guitar lessons. You can ask questions, get answers, and learn songs in a way that was not possible in the past. This allows for studio quality guitar lessons in the comfort of your own home. 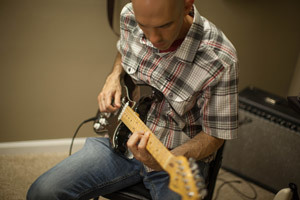 Check out the rest of the website and give me a call today to schedule your guitar lesson in Waxhaw NC.